Featured in Best of 2016 Top Paid collection on the App Store in the UK, Germany, Italy, Spain and many more countries! 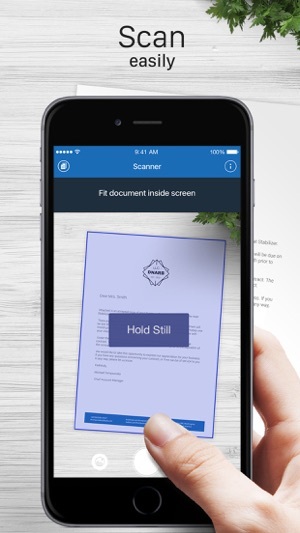 Scan, print and manage documents with your iOS device! * SCAN with a camera or choose photos from Camera Roll. You can scan as many pages as you want! 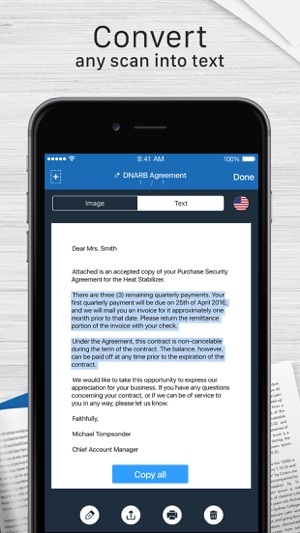 * CONVERT your scans into editable text with OCR (Optical Character Recognition) technology. Recognition is available for texts in English, Spanish, Turkish, Russian, French, Italian, German, Dutch, Swedish, Polish, Norwegian, Japanese and Portuguese. * PRINT scanned documents, as well as the text from your Clipboard, attachments to emails, documents and webpages. 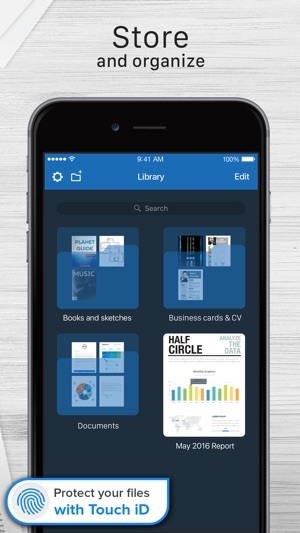 * UPLOAD your scans to Dropbox, Evernote, Google Drive, Box and more by single tap on “Copy to” button (make sure the third-party app you are sharing to has been installed on your device). * MOVE images easily from other apps into the library using iOS 11 Drag and Drop (iPad only). Accurate scans, simple editing and sharing: Scanner for Me is your indispensable companion for studies, home finances and business use! 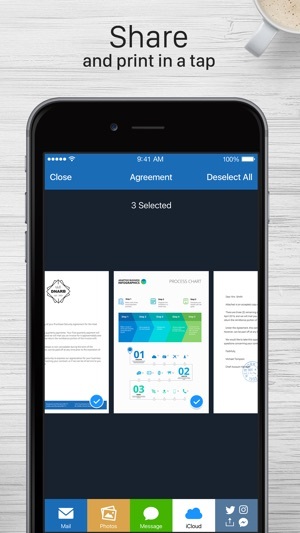 *Photos – so you can import your snapshots and create PDF documents with them. 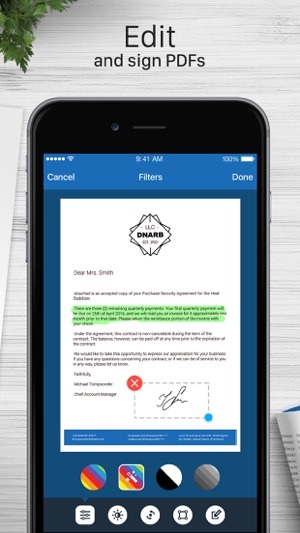 *Camera – so you can capture, scan, and manage documents in the app. *Contacts – so you can add contact information to documents. *Notifications – so you can receive useful tips for using the application and reminders to about any business deadlines you set. - Optimized for iPhone X! I’m a band teacher and I use this app to send music to folks that are not able to get the music otherwise. It does this so wonderfully, I believe, that every musician should own and use this app. I really like the edit function that allows me to select the corners of the music very precisely, although sometimes it’s difficult to pick up my finger without accidentally moving the cropping point. When I have a stack of pep band music that is a standard size I find it quicker to run them through the school copier scan function. Thank you for sharing your experience on the app! The app is nice but not worth $6.99. Why? Because you cannot share it amongst other devices. No iCloud backup. What I perform in my iPhone does not transfer over to my iPad. That’s very inconvenient. 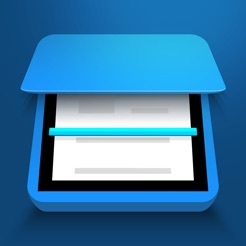 Scanner Pro is a better scanner app and offers more. You can backup on iCloud amongst other cloud services. Whatever is on your iPhone is in your iPad. Very great customer service as well for Scanner Pro. Scanner Pro does the same as scanner for me plus offers more features. I think for the same price as well. We couldn't be more appreciative of your comments and suggestions! We will do our best to implement your ideas in the future versions of the app so please follow the updates. I Am A Full Time Student. When We Have Physics Labs They Are Done In Groups, And They Are Quite Often Too Lengthy To Finish All The Steps Independently. So With This Application, You Can Work As A Team, And Accomplish Different Sections In The Allotted Time, And Then Scan Each Others Work On The Different Sections, Sharing Them With The Group To Complete The Task.. Goodbye Copy Machine, Stand Alone Scanner, Or Taking Crappie Pictures And Trying To Share, Hello "Scanner For Me"!! Your feedback rocks! Let us thank you on behalf of the team. And if you have suggestions how we can improve the app even more, let us know.